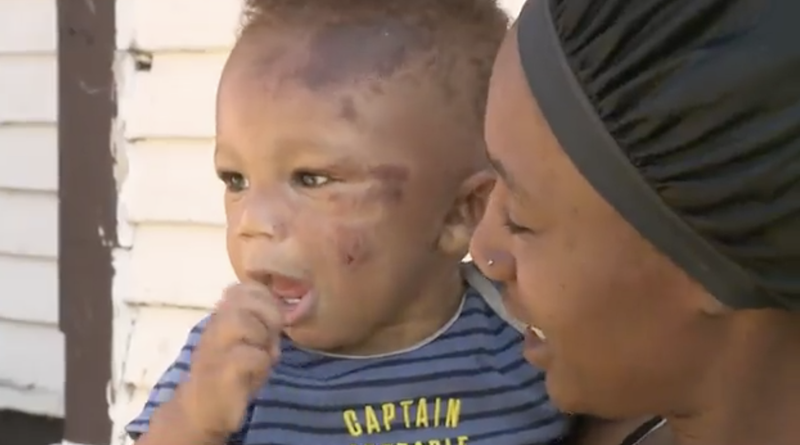 Early Friday morning, shortly after dropping off her 8-month-old son to Harvest Learning Center daycare, Rahzeena Hamilton says the center called to inform her that her son had a severe allergic reaction to a mosquito bite. But when she arrived to pick up Judale Malone, she noticed it was anything but a mosquito bite. Milwaukee police are now investigating Malone’s injuries as child abuse, according to Fox6Now. The baby’s body not only had human bite marks on his arms but also bruises on his head and other parts of his body. During a hospital evaluation, doctors also noted they did not find a mosquito bite. “I just don’t understand how this could happen. I don’t,” said Hamilton. Hamilton wants answers as to how and why her baby was abused. But when contacted by the local news station, the day care stated they would not issue a statement until an investigation was done. But lucky for them, I am not the baby’s mother, because that building wouldn’t be standing.